Behati Prinsloo may have relied on day care a great deal to manage her career goals and child care ever since she gave birth to 11 months old Gio Grace, and 2 year old Dusty Rose. However, whenever spotted with her little daughters, the three make a picture-perfect frame of happiness and love! We’ve caught adorable glimpses of Behati pushing them on swings in the park. 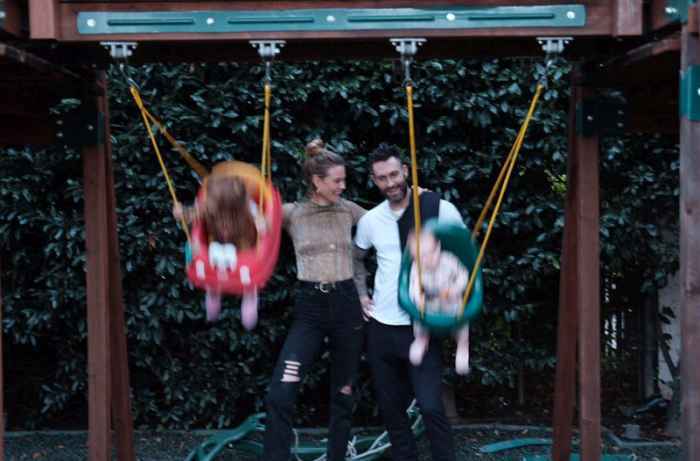 We still can’t stop gushing over Behati holding her little girl in husband Adam Levine’s new music video, Girls Like You.